Describing Linda Ronstadt’s voice as one of the most gorgeous in pop and rock music doesn’t do the iconic performer justice. What’s also admirable is her versatility. It wasn’t enough that she was a star of the 1970s California country rock scene as part of the folk/rock band The Stone Poneys. As a solo artist, she would go on to become a country, rock, pop and jazz megastar in her own right, scoring massive hits with blockbuster albums like Heart Like a Wheel and Simple Dreams. She’s played stadium tours, garnered a Tony nomination, appeared in The Simpsons, and topped multiple music charts. 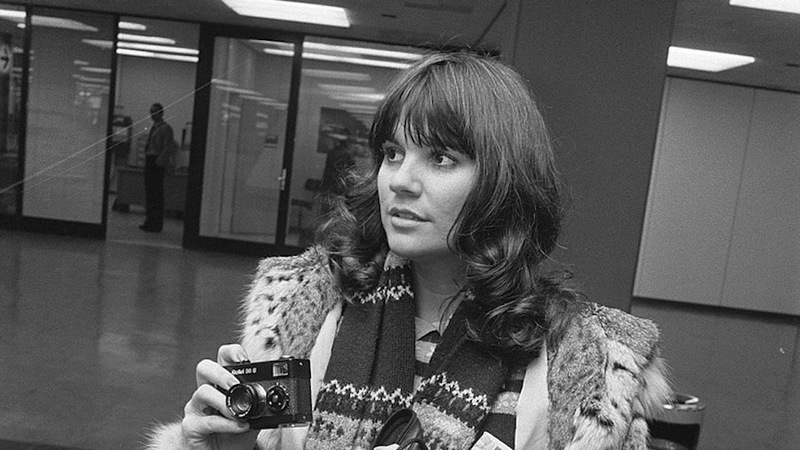 The many standards she covered quickly became Ronstadt’s own, and she brought traditional Mexican folk music to the mainstream with her massive selling album Canciones de Mi Padre. Though her glorious pipes are sadly damaged now due to Parkinson’s disease, Ronstadt has left behind a staggering body of work that continues to be in constant rotation on the radio, in commercials and movie soundtracks. The ten songs below represent just a taste of Linda Ronstadt’s musical legacy, but what a sweet taste it is. Ronstadt’s soulful, country-fried version of this Everly Brothers favorite hit number two on the Billboard charts and helped cement the Heart Like a Wheel album as an all-time classic. In just two minutes, Ronstadt belts a song that’s perfect for cruising down the highway while nursing a broken heart. This massive hit duet with James Ingram off of the An American Tail soundtrack sweetly conveys the emotions little Fievel Mousekewitz feels while separated from his family. If you don’t get choked up when Linda sings the soaring line “It helps to think we’re sleeping underneath the same big sky,” you should probably check your pulse. This romantic ballad has been sung by multiple artists, but none as successfully as the smash hit duet Ronstadt recorded with Aaron Neville in 1989. The duo won a Grammy for their moving performance, and the song endures today as a staple at weddings and anniversaries. Ronstadt’s yearning vocals made this Michael Nesmith tune a hit for her group The Stone Poneys. The song introduced the world to Linda Ronstadt’s dulcet tones and hinted to her rich future covering other musicians. The best-selling Trio albums found Linda teaming up with fellow songbirds Emmylou Harris and Dolly Parton for a series of hauntingly beautiful country-folk songs. The legendary artists’ voices meld seamlessly on songs like their cover of the Phil Spector tune “To Know Him Is to Love Him,” which hit Number One on the country chart in 1987. The other heartstring-tugging hit off of Ronstadt’s triple platinum album of duets with smooth-as-silk crooner Aaron Neville was penned by singer-songwriter Karla Bonoff. Featuring another frequent collaborator Andrew “Thank You for Being a Friend” Gold on guitar, “All My Life” topped the Adult Contemporary chart and earned Ronstadt and Neville a Grammy for Best Vocal Performance by a Pop Group or Duo. Watch their live rendition for proof that the duo made some seriously sweet music together. Ronstadt covered many Warren Zevon songs over the years, and the mix of her crystal clear voice and the “Werewolves of London” singer’s darkly humorous lyrics made for a potent musical cocktail. On this rocker from the Simple Dreams album, Ronstadt adds Spanish folk music flavor to the California rock sound of the time for an Ensenada-by-way-of-Echo Park vibe. Buddy Holly may have sung it first, but Linda Ronstadt added a ‘70s rock flair to the tune that gave her a Top Five hit. The song’s success, along with a certain bayou-themed ditty, helped the Simple Dreams album usurp both Fleetwood Mac’s Rumours and Elvis Presley on the music charts. Don Henley sings backup on this Roy Orbison cover, but you’d never notice it because Ronstadt’s lump in the back of your throat-inducing belt of the chorus (“I’m going back someday/come what may, to Blue Bayou”) is that what makes the song a classic. Only Ronstadt could take a Roy Orbison melody and make you completely forget “The Big O” came anywhere near it. Ronstadt’s soulful version of this oft-covered tune hit Number One on the charts and made her forever associated with the sassy kiss-off to an ex-lover. The song helped her landmark Heart Like a Wheel album stay on the charts for a staggering 51 weeks and made Linda Ronstadt a household name.